Today we show you our 10 most beautiful places in Northland of New Zealand. From Whangarei to the end of Cape Renga stretches the so-called Northland, ending with the Far North around Kaitaia and up to Cape Renga. All in all, we spent 3 months in this region and could explore a lot. In addition to some obvious highlights, we have also included a few less known places. Let yourself be inspired, enjoy reading and have fun travelling the Northland. 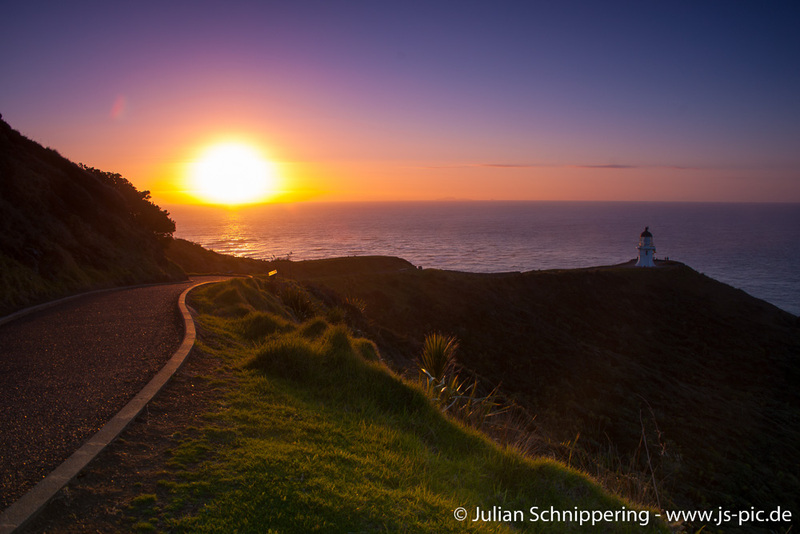 A Cape, a lighthouse, a hiking trail, impressive mountains, steep cliffs and a sacred place for the Maori; that’s Cape Reinga! A beautifully landscaped path leads down the hill to the lighthouse, past palm trees and all sorts of vegetation. To the left you can see the Tasman Sea, to the right the Pacific Ocean. 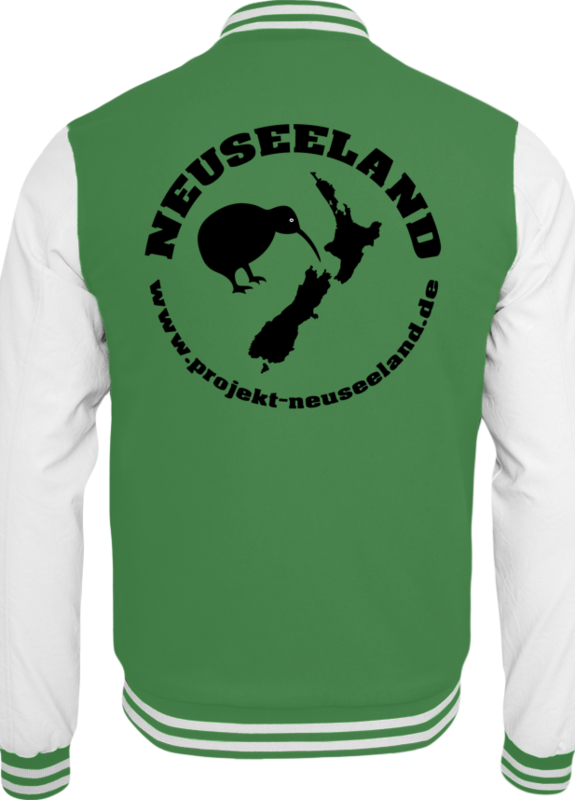 On wooden boards along the way you can read the story of Capes in English and Maori. At night you can see millions of stars and the Milky Way fog. The road there is well developed and completely tarred. In the main season it is often quite full, early in the morning and from the afternoon it is much emptier. Staying at the DOC campsite is only a few miles away. 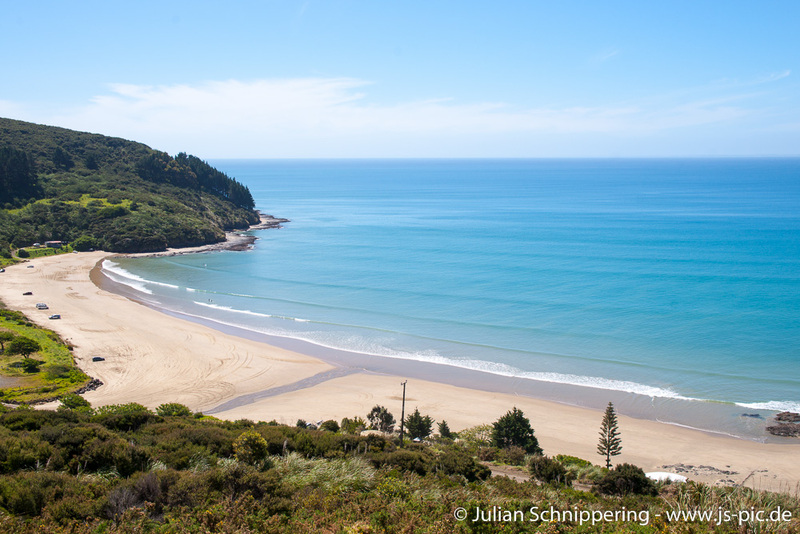 The 90-mile beach spans 88 km (55 miles) on the west coast of Northland and has many beaches for sunbathing, surfing, swimming and enjoying. Shipwreck Bay is part of 90 Mile Beach and is popular with surfers and anglers alike. Through a gentle curve made by the beach, the waves run from one end of the beach to the other without breaking. The current is not as strong as on other beaches in Ahipara and therefore well suited for swimming. Once in the sea you have a fantastic view of the jungle and with a bit of luck you can see at low tide a part of the shipwreck (a chimney), which gives the beach its name. If you like sand-surfing, you will find a big dune near the bay that is not touristy at all and can be used to surf the sand with your own board. But beware; depending on where you’re surfing, the dune ends up on a cliff and not on the ground floor by the water. 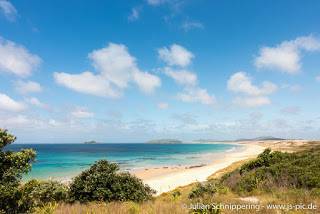 In Northland there are many great white sandy beaches with blue sea and beautiful scenery around it. Rarawa Beach offers only the best of everything! 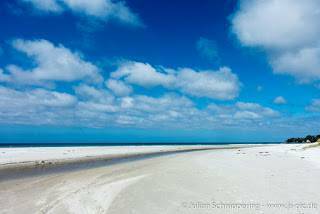 It is the whitest beach in New Zealand and has the softest sand that we have ever felt under our feet. The sand is so fine that it even creaks when you walk over it. The sea shimmers in the most intense blue and turquoise tones, lined with jungle-clad mountains. The small river that you have to cross to get to the beach is about ankle-high and usually warmed up pleasantly by the sun. A beach, as if in a dream! There is also a campsite nearby if you want to spend more time here. The whitest beach in New Zealand, Rarawa Beach. A long gravel road leads to a small parking area above the beach. From here you have a wonderful view! Turquoise sea, white sandy beach, lined with jungle. If you are not overwhelmed by its beauty, you just want to go down to the beach and into the sea! Just wonderful! But be careful, there may be jellyfish here, depending on the season. If that is the case, there is usually a warning sign on the way to the beach. For convenience, you can also park your car at the top of the car park and just enjoy the car view over the bay. A circular path leads over some meadows and past 3 individual caves, which you can all commit. With headlamp and water shoes (barefoot goes too) you are perfectly equipped for the upcoming adventure. 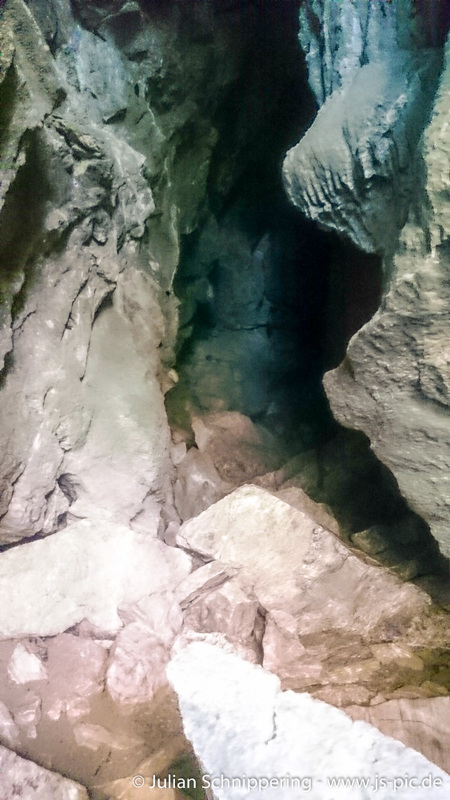 The entrances are partly hidden and you have to climb over big rocks down into the dark cave. At the bottom it gets noticeably colder and darker, after a lot of rain, the water can stand knee high and higher. That’s why you ideally prefer to go there after dry days. As soon as the eyes are used to the darkness, the journey into a beautiful world begins! As soon as you move away from the entrance and turn off the flashlights, wait a few minutes and you’ll see a galaxy of fireflies! Please always be careful not to bump your head and do not go alone in the caves. Take someone with you or tell others where you are going and when you want to be back at the latest. Nothing is worse than having to hope for help in a cave. At the parking lot to the Abbey Cave, there are often thefts, lock your car and leave no valuables open. 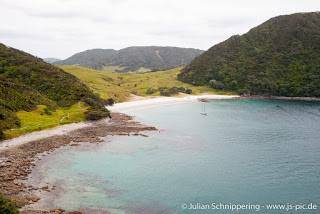 The Bussy Head Loop Track takes about 2-3 hours if you take your time, offers beautiful views and leads past the Smugglers Bay. At the entrance of the track is a parking lot where you can keep wonderful. Starting the track counter-clockwise, the path leads to a cow meadow, up to a WWII bunker complex (very informative and interesting). As soon as you leave the cow meadow the path leads uphill into a forest. The effort is quickly rewarded with a view of beautiful beaches with turquoise blue sea! The last half hour leads downhill to Smugglers Bay: white sandy beach, turquoise sea, bounded by steep cliffs and forest – absolutely gorgeous! At Smugglers Bay, you can also be nice on the sandy beach in good weather, swimming is also possible here. A lonely road leads through the middle of the jungle, past the largest living cowries! The first stop is Tane Mahuta, “Father of the Forest”, estimated at 1250-2500 years. A few kilometres further, the next stop with 3 other Kauris invites you for easy hikes. 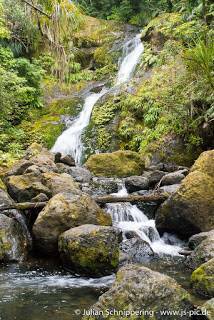 The 4 Sisters, Yakas and Te Matua Ngahere are all accessible via different distances. The trails are all well developed, very easy to walk and lead through beautiful, natural jungle. While you enjoy the nature around you, suddenly you stand in front of the tree giants completely unexpectedly! We were (and are) too deeply impressed by these gigantic wonders of nature. 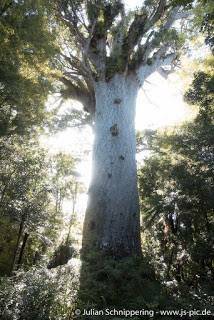 There is only one campsite on the west coast near the Kauri trees that gets crowded quickly. On the coast there are other places, but these are a bit further to drive. The 27m high waterfall is located between Waipapa and Kerikeri. There is a large parking lot where chickens roam free (funny to watch as they are very friendly). 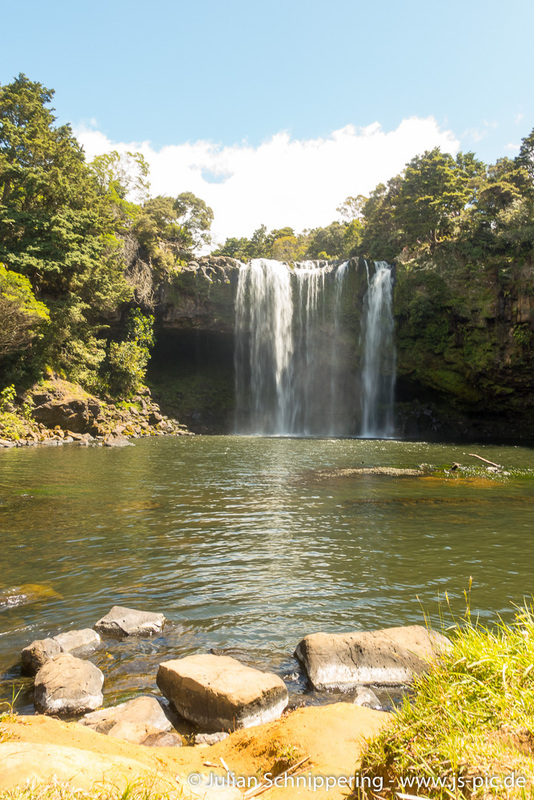 There are three paths, one leads to a plateau above the waterfall, another leads directly to the pool and the last is a circular walk of about an hour. At the roadside we found tons of oranges and only later found out that there are orange trees there! The pool is perfect for swimming and you can climb behind the curtain of water. In good weather, the Rainbow Falls live up to their name – the fine mist of water over the pool makes for a rainbow! If the weather is nice, it’s worth a detour and impressive. At the entrance to the path there is a small parking lot, from where you pass a small gate and stand in front of a European-looking forest. But after the first few meters gives way to the first impression and granted a wow effect the place. 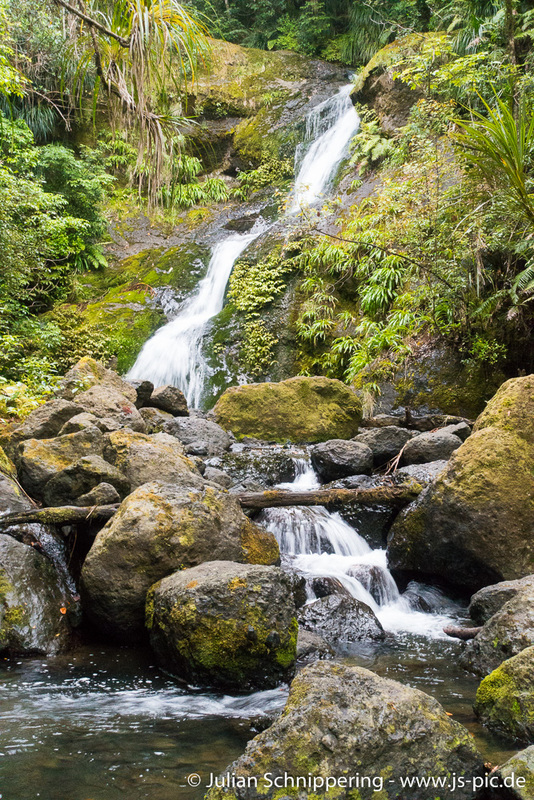 Primeval forests as you imagine it; Fern, palm trees, deep dense green and a river next to you. After about 15 minutes, the river gets louder and the path leads up a gentle hill. Once at the top, a staircase leads directly down to the waterfall. A path made of stones allows the crossing and overlooks a clear pool. We found this place in rainy weather already dreamy, not to imagine how wonderful he must be in the sunshine. The nearest campsite to Cape Reinga. It offers several large lawns, toilets, cold showers and direct access to the beach. Opposite the campsite, separated by a sandy beach and a small river, is a small mountain formed by volcanic activity. Lava stones can be found everywhere along the river. If one follows this, it leads a directly to the near sea. On the right side of the river you can climb over the volcanic rock along the cliffs and find beautiful places! The sea is ideal for swimming; alternatively, you can pull on a body board of a quad – water skiing in kiwi style! From here you can also hike along the coast over the hills to Cape Reinga. However, this takes a few hours. Do you have any questions or comments about our article? Or you have a supplement because you have found a great place? Then we look forward to your comment here under the article. 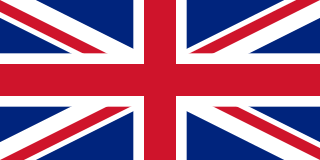 – Overview of all TOP articles here in the blog.